The Annual Conference 2018 of Fed-CSSPA will be held on March 3rd 2018 in the Maldon Hotel Portlaoise. This year we are pleased to be joined by Mr Ferdia Kelly who is currently the Chief Executive Officer of the Catholic Schools Partnership. As a national organisation, Fed-CSSPA has always found Mr Kelly to be very supportive of parental involvement. Mr Kelly will be sharing with parents the common topic at many of this year’s conferences – Understanding and Living the Ethos in our Catholic Schools. We are also joined by Ms Jackie O’ Dowd from the Science Foundation Ireland who will talk to parents about the future available to their students through engagement with science subjects. Colman Noctor joins us to address a very current issue – building resilience in our children. He will also address the stresses and anxieties brought about by the modern era of technology. We also have a number of exhibitors that we believe will interest parents. Lunch may be booked at registration at the subsidised rate of €5 per person. This conference is free to attend for 2 parents from your school – registration is through eventbrite and details and links are available on our website www.fcsspa.ie/events – our Facebook page. Are based in Tubbercurry Co. Sligo and offer 100% guarantee to remove head lice in a single chemical free treatment. The clinic do a schools check service for €5 per child whereby they will come to your school and do a full forensic check and notify each parent of the results. 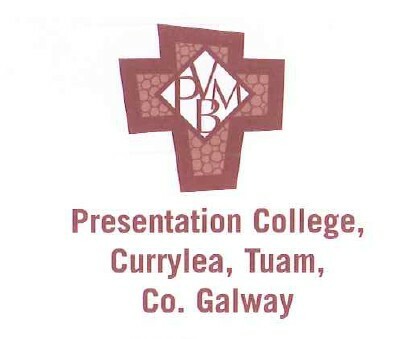 The Department of Education and Skills wishes to bring to your attention that an Information leaflet for Parents of Post-Primary Students has been prepared. 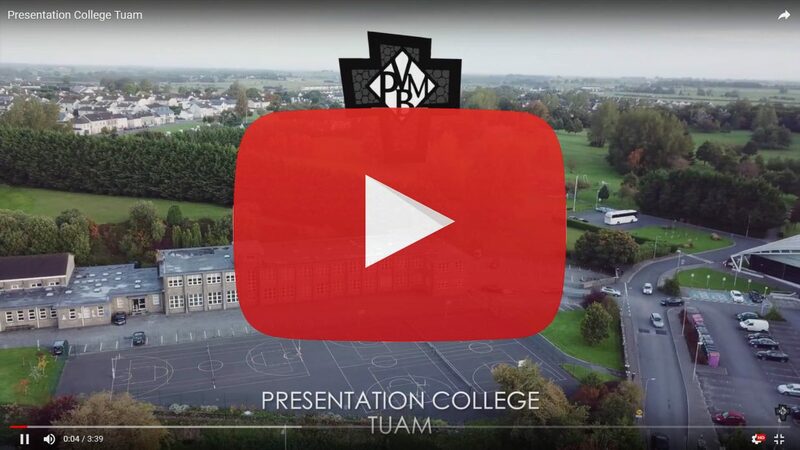 The new Junior Cycle will place the student at the centre of the learning process. It allows for new ways of learning and a broader range of skills to be properly assessed. This leaflet aims to inform parents of post-primary school students about the key changes underway. National Parents Council post primary have been invited by Joint Committee on Children and Youth Affairs to make a written submission on the topic of Cyber Security for Children and Young Adults which the Committee are currently considering. We are inviting the parents in your school to be a part of this submission by answering the 8 questions on the survey. The estimated time to complete this survey is 3 minutes. The National Parents Council post primary (NPCpp) has, for a long time now, pursued our policy to give Parents a strong voice in the education of our children. The Department of Education and Skills has now proposed some changes to the legislation in our educational system – They are introducing a Parent and Student Charter Bill 2016 which will determine the parents’ role in education for many years to come. This Bill will require every school to consult with and involve parents and students more in the running of the school, and to publish and operate a Parent and Student Charter. NPCpp welcomes this positive step and the recognition it brings to parental involvement in the education of our children. Minister Richard Bruton has directed that parents be consulted through NPCpp and we have created the attached survey to ensure that we can properly reflect what you would like to see being implemented through the Charter. Your thoughts and ideas are crucial! So please take a few minutes (10-15 max) to complete and return your response. Help us to reach out to as many parents as possible – Please share this survey with your friends, family and other parents in your school. A huge thank you to Parents Association for organising raffle during the show and to all the businesses in the town for sponsoring the prizes. Over €1200 raised which will help greatly with the costs of staging the musical. Notification regarding the Board of Management’s annual review of the anti-bullying policy. The Board of Management’s annual review of the school’s anti-bullying policy and its implementation was completed at the Board meeting of 20th September 2016. 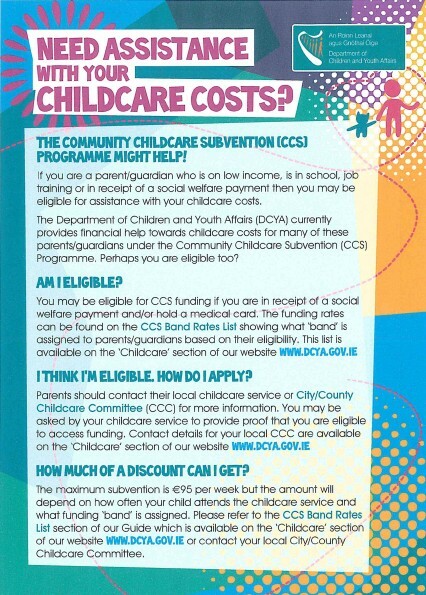 The community childcare subvention (CCS) Programme might help! 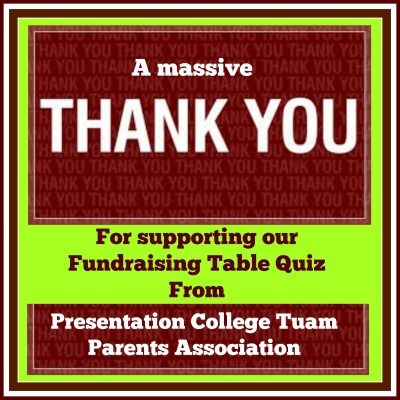 The Parents Association of Presentation College Tuam wish to thank most sincerely all who contributed and supported their recently held Table quiz. 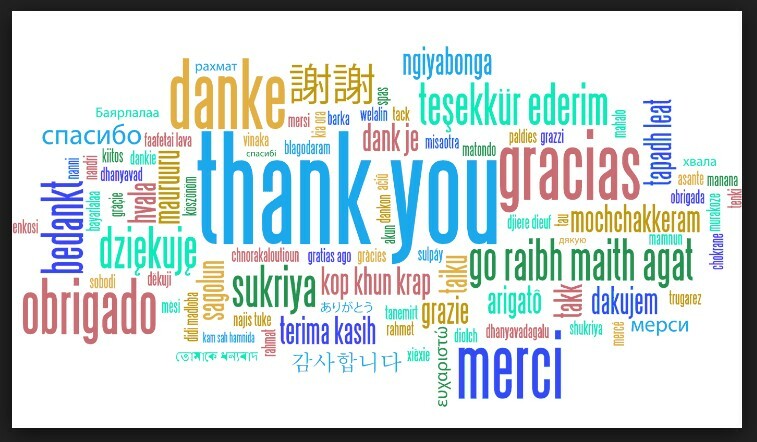 A special word of thanks to the following for their input on the night John Mulrooney, Sean McGrath, the staff of school who attended in large numbers and Ca Farragher. Thanks also to the Parents who were unable to attend and gave contributions towards the fundraiser. Congratulations to the winners on the night.